Boost Coaching 1:1 - including video analysis of your swimming underwater. Whether you are training for Ironman, a marathon or have other events that you need support with, then make sure you contact us, as our team have helped many athletes towards their goals and many of these athletes are just like you. 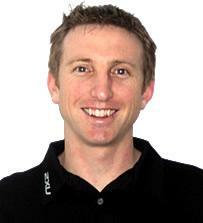 I am a passionate triathlete that is keen to work with you toward your sporting goals. I started triathlons in 2004 as an age group competitor and have worked and trained alongside some of New Zealand's top coaches and athletes. I competed professionally between 2006-2009 and raced in the pro field at the 2009 Ironman Champs in Hawaii. Career highlights include - 9:12:53 @ Ironman NZ,Hawaii 70.3 4th Pro 2008, 3 Top 10 finishes at Tauranga Half IM, 3rd Snap Half IM series Australia 06-07, Ironman World Champs 2009, 2nd Standard Distance Nationals 2010, 4th Duathlon Nationals 2012. Currently I have Triathlon NZ Level 2 accreditation. I have also completed Bike NZ Coaching accreditation Level 1. Success. Coach Andrew Mackay has been notified of your message.